20). Sounds simple enough, but what does disciple-making look like? At its core, our discipleship commitment finds expression in a close, personal relationship with God and with others. The following article written by Dr. Bobby Harrington will encourage and challenge you as you discover the priority of relational discipleship. Instead God promises me himself, his family, and an eternal destiny in his eternal kingdom. The Kingdom of God begins now and it will be consummated in something much better than anything I can imagine. Being with the Father, Son, and Spirit will be sheer joy. God has promised that to us (Revelation 21:1-22:5). This world is where I am prepared – in relationship with God through Jesus – for the next world. I have a relationship with God on the basis of his Son’s cross and guided by his Son’s life, teaching, and kingdom promises. God himself, through his Spirit, works in our hearts to empower us for this relationship and God has determined that this relationship will lead us to be transformed into the image of his Son. “Those God foreknew he also predestined to be conformed to the likeness of his Son, that he might be the firstborn among many brothers” (Rom. 8:29). “Then he called the crowd to him along with his disciples and said: ‘If anyone would come after me, he must deny himself and take up his cross and follow me. For whoever wants to save his life will lose it, but whoever loses his life for me and for the gospel will save it. What good is it for a man to gain the whole world, yet forfeit his soul?’” (Mk. 8:34-36). “I eagerly expect and hope that I will in no way be ashamed, but will have sufficient courage so that now as always Christ will be exalted in my body, whether by life or by death. For me to live is Christ and to die is gain” (Phil. 1:20, 21). “I consider everything a loss compared to the surpassing greatness of knowing Christ Jesus my Lord, for whose sake I have lost all things. I consider them rubbish that I may gain Christ and be found in him, not having a righteousness of my own that comes from law, but that which is through faith in Christ – the righteousness that comes from God and is by faith. I want to know Christ and the power of his resurrection and the fellowship of sharing in his sufferings, becoming like him in his death” (Phil. 3:7-10). In Galatians, Paul refers to the work of the Holy Spirit in developing Christ-like character. In relationship with God, Paul is saying, you will become this kind of person. So I say, live by the Spirit … The fruit of the Spirit is love, joy, peace, patience, kindness, goodness, faithfulness, gentleness, and self-control. Against such things there is no law. Those who belong to Christ Jesus have crucified the sinful nature with its passions and desires” (Gal. 5:16, 22-24). Passages like these could be multiplied. The essence of life is God reaching out to us and offering to transform us into the image of his Son. By God’s design, we become different people. Jesus taught that the greatest commandment was to love God with our entire beings – hearts, minds, souls, and strength – and to “love our neighbor as ourselves.” Jesus was not so much giving us a list of the various dimensions of human psychology as he was teaching us to embrace our relationship with God and other human beings holistically as he did. When we talk of becoming disciples we are emphasizing holistic development of our entire beings in relationship with God and people. We believe that this is a gradual, life-long process (2 Cor. 3:17-18). God’s purpose for our individual lives, as we await the return of Jesus, is that we become more and more like Jesus. 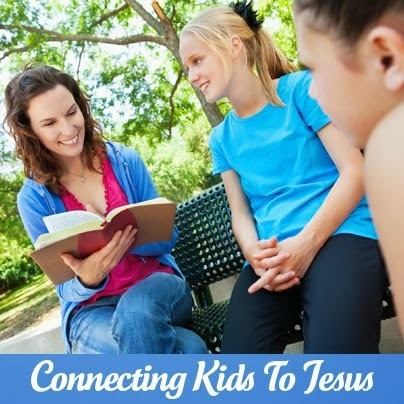 Help others understand the importance of relational discipleship and how easy it is. Relational discipleship is something every believer can enjoy—and it doesn’t have to take hours each week. Be intentional, make time for children and include them in your life. The following resources will assist you in becoming a relational disciple-maker. Copyright © 2012 by Dr. Bobby Harrington, Distributed via Exponential Resources. To Trust and Follow Jesus. Pgs 17-19. Used with permission. Click hereto request this free ebook.